Fantastic deal on this well cared for home! Desirable open floor plan featuring a formal dining area, built-in china cabinet with lots of storage. Beautiful kitchen with ample cabinetry and counter space; microwave over the stove. Large living room, plenty of natural light entering through the many windows. Enclosed porch was incorporated into the master suite as a retreat space; wall to wall closets, fireplace and en suite bathroom. Guest bedroom and full size guest bathroom. Full laundry room with front load washer and dyer included. Covered deck is perfect to enjoy your morning coffee and the ocean breeze! Wide carport, large backyard with trees creating privacy for you to enjoy. Large bonus outdoor room with two entrances, one sliding glass door on the front and a regular door on the side. The bonus room can be utilized as a storage shed, office or anything you desire. Call Musab to see today 619-972-4070. This home is missing nothing! Laminate floors throughout the whole house, Stone counter tops, stainless steel appliance package. Central Air and Heat. Large side yard! Stand in shower stall in the master bathroom and acrylic tub-shower combo in the guest bath. Ceiling fans in every room. Large Den that can be used as an office or morning room. Fully landscaped with low maintenance gravel. Priced to sell quick! Call Musab 619-972-4070 to view this home. A Great deal on this manufactured home with 3 bedrooms and 2 baths. Beautiful home in an All-Age Community. Great floor plan with a great size living room and a formal dining area. Spacious kitchen includes all appliances and ample counter/cupboard space. Master suite features a large closet and private bath with large garden tub. Indoor laundry room, drywall throughout and a spacious carport. Low maintenance yard. This Home is priced to sell! 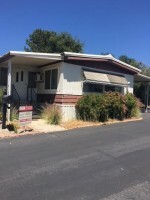 Fantastic all age community near Highway 805 and 54. Plaza Bonita Shopping Center is just a couple of minutes away. Bonita Paradise Mobile Home Park is a very well kept community, pool tables, swimming pool and clubhouse are available for residents to enjoy. This home was in the middle of a remodel. Almost new dual pane windows, wood laminate flooring, fresh interior paint. Front porch entry, central air conditioner. Finish the remodel and save. $924 Space Rent. A great deal that will not last. Beautiful and spacious home. Love and care Shows throughout the whole home. Enjoy the bright living room with a wood burning fire place or the enclosed dining room overseeing the family room. Cabinets were upgraded throughout the house. Guest bathroom has 2 closets with built in shelves and drawers. Spacious enclosed porch and an open porch to feel the ocean breeze in the evenings. Located across the street from the Club house. Public transportation within walking distance. Affordable home in the fantastic Meadowbrook senior community. Enjoy the many social gatherings at the clubhouse. Bingo night, fashion show, potlucks and many other activities. This home has a great floor plan featuring a large living room, spacious family/bonus room will make the perfect office or tv room. Master suite offers a private bathroom and a. large walk-in closet. Guest bedroom has a walk-in closet, spacious guest bathroom. Kitchen is open and airy, includes all appliances. Enclosed porch, enclosed laundry room, central air, covered porch to enjoy the afternoon breezes or your morning coffee. 2 storage sheds, mature orange tree and large driveway. This home won't last! Gorgeous home with several upgrades. Beautiful open kitchen with stainless steel appliances included, washer & dryer are included as well. Dining area has a beautiful built-in hutch. Laminate wood floors and window blinds. Spacious master bedroom features a private bathroom with shower stall. Guest bedroom and spacious guest bathroom with shower/tub combo. Reasonable sized yard with storage shed. Don't miss this home, homes in this community sell fast! This well maintained all age community is the envy of South San Diego. Superb Management and resort-like clubhouse. Enjoy a dip in the swimming pool on those hot days, play a billiards game or read a book in the clubhouse. Plaza Bonita Shopping Center is just a few minutes away. This is one of the most sought after all age communities in San Diego, and it is centrally located off Hwy 54 and 805. 1 pet 25 lbs or under. COMING SOON! Brand new 2017 with great floor plan. Beautiful kitchen with stainless steel appliances. Master bedroom at one end of the home plus 1 bedroom, 1 den and a guest bathroom at the other end. Huge back yard! Land rent is $700. Never pay space rent again! Own the land as well as this beautiful 2003 manufactured home. 2 bed, 2 bath, 1140sf of beautiful living space. Large master suite offers a retreat, walk-in closet and a private bathroom. The retreat would make the perfect space to read a book or two. There is a guest bedroom and bathroom. Kitchen is open and airy and includes all the appliances and a breakfast bar. Dining area features a fireplace to keep warm on those cold nights. Front living room with lots of natural night natural light shining through the beautiful windows. Indoor laundry room includes washer and dryer. Large deck to enjoy your morning coffee. Affordable living in this gated senior community! Homes in this community sell fast, call to see today. Stunning views can be enjoyed from this home. This senior community has one of the lowest land rental fees in East County. This home is very spacious and features a fantastic floor plan. Dual pane windows, beautiful kitchen and appliances are included. Large living and dining areas where you can enjoy the view! Family/bonus room will make the perfect office or tv room. Washer and dryer are included in your indoor laundry room. This beautiful community within a couple of minutes from Highways 54 and 125. Call to see today, this home won't last long. This charming home is in a large lot and great location within this community. Light and bright, kitchen includes appliances. Indoor laundry area with washer and dryer included. Restroom offers a walk-in shower. Good size bedrooms, large living room, dining area right off the kitchen. Live in the highly sought after senior community of Camerons Mobile Estates. Land Fee is $698. LIVE IN THE BEAUTIFUL CAMERON'S SENIOR COMMUNITY. Stunning 2005 Top of the line Hallmark manufactured home recently remodeled. Over 1500sf of beautiful living space, a gas fireplace for those cold days and a fantastic open floor plan. Gourmet kitchen offers elegant dark cabinetry, gorgeous granite counter tops and stainless steel appliances. Side by side refrigerator, microwave over the stove and dishwasher. Impressive high vaulted ceilings, dual pane windows, ceiling fans and central air conditioner. Spacious living room is bright and airy, breakfast room off the kitchen. Beautiful master suite, en-suite bathroom features his and her sinks, shower stall with grab bar and a deep garden tub. Great size bedrooms and a guest bathroom with a tub/shower combo and beautiful sink/counter. Indoor laundry room includes washer and dryer. Large driveway with arched supports, stunning concrete/brick stairs and front walkway. Bayview is an all age gated community near Downtown San Diego. Call to see this home, it will sell fast! Beautiful home with well planned floor plan. Spacious living and dining areas; in addition, there is bonus/family room. Kitchen offers beautiful cabinetry, refrigerator, dishwasher and stove top/oven. Indoor laundry area with washer and dryer. Master bedroom features a private bathroom with a walk-in shower. Guest bedroom, guest bath, evaporative cooler and a portable air conditioner. Large fenced yard, wheelchair ramp, deck and large yard. Priced to sell fast! This gorgeous home has been completely remodeled. Spacious kitchen with newer counter tops, high end stainless steel appliances and white cabinetry. Indoor laundry room has near new washer and gas dryer. Formal dining and living rooms in addition to the large family/bonus room. Master suite features a private bathroom with a near new walk-in shower. Guest bedroom and bath. Enclosed porch is the perfect place to enjoy the breeze! Recapped roof, central air conditioner, beautiful newer flooring. Call to see today, this home will sell fast! Available Now! Beautiful home with fantastic open floor plan. This home has it all; rich brown high quality laminate wood flooring almost throughout, ceiling fans, newer water heater & clothes washer, recently painted. Large living room to enjoy your favorite movies, separate dining area and large kitchen with ample cabinetry and counter space. This home has been lovingly cared for and offers plenty of natural light. Master suite offers a private bathroom with a deep soaking tub plus a separate shower stall. Large indoor laundry room includes a washer and dryer. Front porch is the perfect spot to enjoy your morning coffee or your evening wine. Rancho Laguna Estates offers wonderful amenities. We can help you get pre-qualified for this home! Pictures are from the last time home was listed. This gorgeous home has been tastefully remodeled! Exquisite kitchen with beautiful custom made cabinetry, amazing well planned pantry with large drawers. Stove top, oven and refrigerator are included. Large living room with large windows and sliding glass doors that will lead you into the spacious enclosed porch. Dining area has a built-in hutch with custom designed mirror accents. Indoor laundry room with washer & dryer included. Large master bedroom and spacious bathroom. 2nd bedroom is perfect for an office or sewing room. 2 storage sheds, copper plumbing, recapped roof, newer furnace & water heater. Beautiful landscaped yard includes peach and apple trees. 3 ceiling fans, wall ac unit in living room, newer carpet & wood laminate on hall. Call Donna to see this home 619-823-2780. This home has been recently upgraded and offers newer items including interior and exterior paint, stove, dual pane windows and blinds throughout, kitchen counter top and more. Great open floor plan with front living room, master bedroom in rear of home. This senior community is well managed, and it is located close to shopping, dining and transportation. Very Low Space Rent. Priced to sell fast! Call David (619) 713-8998 to schedule an appointment. Interior pictures coming soon! Amazing Views! Fenced yard ready for your pets. This beautiful home is located in the highly desired Monterey Mobile Lodge, an adult 55/18 community with $690 land fee. Absolutely one of the best locations within this community. Large fenced corner lot features breathtaking unobstructed views of the hills nearby. Master bedroom features a main closet, vanity/sink counter, and 2 additional closets. Second bedroom has access to a guest bathroom. Kitchen is open and bright. Lots of natural light shining through, newer flooring, indoor laundry room with near new washer and dryer. Formal living room plus family/bonus room. Enclosed porch, window air and a driveway large enough for 3 vehicles. This gorgeous home is looking for a new owner! Pride of ownership shows throughout, seller has lovingly cared for this home. Spacious rooms, beautiful custom interior paint, indoor laundry room with washer and dryer included. Kitchen is bright, white cabinetry, appliances are included. Living room has picture windows to enjoy the view. Dining area has a built-in hutch to display your favorite treasures. Master bedroom has wall-to-wall closet and a sliding glass door that will lead you into the back covered porch. Large restroom with shower stall, very large second bedroom and an enclosed porch where you can enjoy your morning coffee. Newer central air, 2 storage sheds and a dream backyard with a covered patio, paved walkways, flower beds and beautiful plants. This home will sell fast, call to schedule a tour! What a fantastic deal on this 2004 Manufactured Home. This home is being sold as a fixer upper and will be sold as is!